When his plane lands in Guadalajara, Mexico, Staten Island Chiropractor Dr. Victor Dolan will take his high school Spanish, even more limited knowledge of French, his hands, and enough clothes for ten days through the doors of the Pan American Games' PolyClinic. 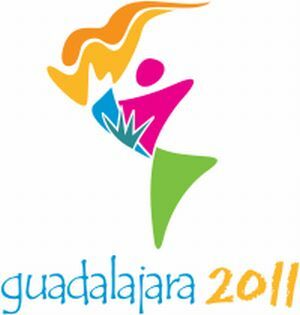 The 2011 Pan American Games, officially the XVI Pan American Games, is an international multi-sport event that is being held from October 14–30, 2011 in Guadalajara, Jalisco, Mexico, with some events held in nearby cities of Ciudad Guzmán, Puerto Vallarta, Lagos de Moreno and Tapalpa. It will be the largest multi-sport event of the year, with approximately 6,000 athletes from 42 nations expected to participate in 36 sports. As Dr. Victor Dolan enters the Pan Am Games' Central Clinic, populated with MDs, Osteopaths, PTs, Dentists and LMTs, the 55-year-old Staten Island native will create a little piece of history for Chiropractic. Dr. Dolan will become part of the first team of Chiropractors to ever serve in the main health, restorative, and rehabilitation facility of the quadrennial games that encompass the Americas and the Caribbean. Staten Island Chiropractor Dr. Victor Dolan will thereby become a symbol for Chiropractic--a practice that traditional medicine has tried to ignore in the past. But it has been well-documentated that a Chiropractor's hands can alleviate allergy symptoms or cure more ills than simple joint pain through spinal and joint manipulation. So the inclusion of a chiropractic team at these games represents a huge step for Dr. Dolan's Chiropractic brethren worldwide. But the Pan Am Games are just another step on the prestige ladder for Dr. Dolan. He has served as the Supervising Physician for the Curtis HS football team for the past 25 years. In addition, he has worked at the U.S. Olympic Training Complex in Colorado Springs. However, the Pan Am Games is the largest event for which Dr. Dolan has provided healthcare to date with athletes from over 40 nations in attendance. Dr. Dolan points out that the United States has had Chiropractors on staff since 1980. And many countries take Chiropractors with them to the Olympics and other such international events as individual members of their medical teams. For this event the Chiropractic physicians are in the main facility where any one of the 6,000 athletes from 42 countries can use his services at any time, day or night. "I'm not there with the USA," Dr. Dolan said. "I'm there with the Pan Am Games, so I probably won't see American athletes. We have Chiropractors coming in from Singapore, from England, hopefully the best and brightest literally coming from around the world." The Pan Am Games begin October 14th, and Dr. Victor Dolan will report for duty a full week before the opening ceremonies. The Games will assign him to one of two facilities, where he will be on-call for basically 24 hours. The organizers pay his airline expenses and will house him in the Athlete's Village. Dr. Dolan says, "You're at the beck and call of the Officials of the Pan Am Games. You've got to be flexible. I won't know where I'm staying until I get there. You have to be ready for anything." Dr. Dolan says he has been told to "bring nothing but his hands." And those hands have already helped countless athletes to pain relief and increased performance. 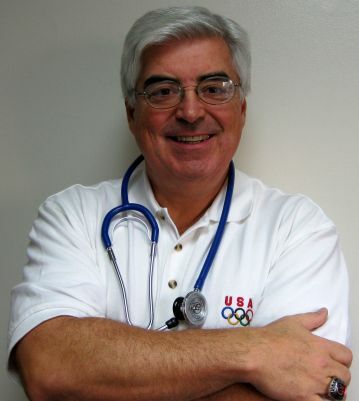 Dr. Dolan counts as one of his great successes a young gymnast he helped at the USOC developmental center. Suffering greatly from lower back issues, the athlete had already undergone months of traditional treatment, but still relied on painkillers to get through his workouts and routines. Then Dr. Victor Dolan got his hands on him. "I started working with him on the Cox Distraction Table (a hinged stretching table that concentrates on the lower back) and within a week we'd found a chiropractic solution to his problem," said Dr. Dolan. "I got the kid out of pain. Got the kid performing better. Within a week, he was off the painkillers and muscle relaxants." As he did for the Olympic athletes in Colorado Springs, Dr. Dolan will work in conjunction with the other medical disciplines in the Pan Am central PolyClinic. "We're told to check our egos at the door," Dr. Dolan said. "I'll be working shoulder-to-shoulder with different disciplines. You learn from them. The doctors I've met at professional venues and competitions are concerned with the patient/athlete--they're not trying to keep secrets from each other. They're not the old-fashioned doctors who had outmoded ideas about Chiropractic. These are cutting-edge healthcare professionals." "For example," says Dr. Dolan, "A patient may come in, and an orthopedist may evaluate him first. If he doesn't find a lesion or something he can work on, the orthopedist may then send the patient to a Chiropractor, or a massage therapist--whatever serves the needs of the patient best." Patients may have a complaint that will respond best to a certain healthcare discipline. I've learned much from other professionals. I have learned new techniques that I've taken back to my Staten Island office. Everybody works together." 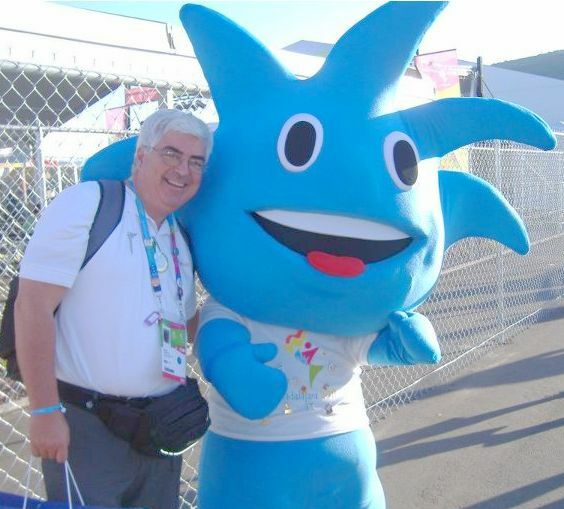 The success that the Pan Am Games represent for Chiropractic is another step for Staten Island Chiropractor Dr. Victor Dolan's profession in a long march that began in 1980 when the International Olympic Committee placed its first Chiropractor on its official medical team. "The athletes demanded Chiropractic and threatened to boycott the Olympics," Dr. Dolan tells us. "Since that time, Chiropractors have been on the U.S. Olympic team--officially." 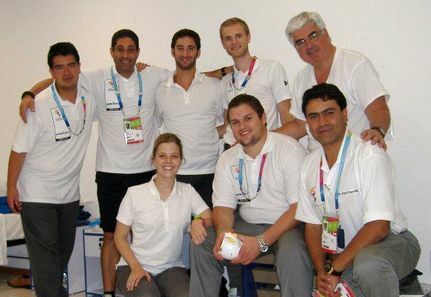 Staten Island Chiropractor Dr. Victor Dolan notes that there have been Chiropractors at the Pan Am games in the past, but this current event is the first time that Chiropractors are in the Central Clinic. "It is satisfying to know," beams Dr. Victor Dolan, "that Chiropractic is now held in high regard on an international level by both world-class athletes--and healthcare practicioners." To read more from the Staten Island Advance about Staten Island Chiropractor Dr. Victor Dolan at the Pan Am Games, please CLICK HERE. 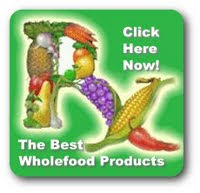 Dr. Victor Dolan is a Chiropractor and Nutritionist with a clinical practice located in Staten Island, NY. The information Dr. Victor Dolan provides on this site is presented for educational purposes only and is not intended to diagnose, prescribe or treat any health-related condition. Staten Island Chiropractor Dr. Victor Dolan stresses that it is important to seek the advice of a health-care professional before making any lifestyle changes. The goal of www.drvictordolan.net is to encourage you to make your own health-care decisions based upon your own research and in partnership with a qualified health-care professional. copyright Staten Island Chiropractor Dr. Victor Dolan. Powered by Blogger.